Posted on January 10, 2018 at 6:35 pm. 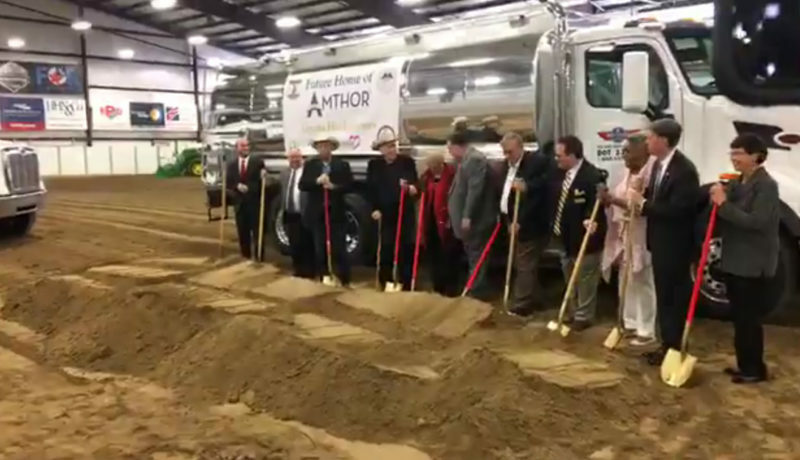 Pittsylvania County, VA – Governor Terry McAuliffe announced today that Amthor International will expand their tanker truck manufacturing operation in Pittsylvania County. The expansion includes the construction of a new 115,000 square foot production and will create 70 new jobs over 3 years and 90 new jobs over the next 5 years. Along with the expansion Amthor will designate the Pittsylvania facility as its corporate headquarters. Amthor International is dedicated to keeping more jobs in America and continuing the family owned and operated business model it has adapted for the last 90 years. Amthor International is a manufacturer of tank trucks for the propane, refined fuel, portable restroom, vacuum and septic industries. Trucks can be customized to meet customers’ needs and all trucks are made in America. Amthor has been family owned and operated since the company was founded in 1928 and it opened its first Virginia manufacturing facility in Gretna in 1992. The Tobacco Region Revitalization Commission is supporting this project with a grant from Tobacco Region Opportunity Fund grant. The Tobacco Region Revitalization Commission is committed to developing a diverse economy in the areas we serve. Supporting successful businesses, like Amthor International, when they wish to expand within the tobacco region is an important part of reaching this goal.